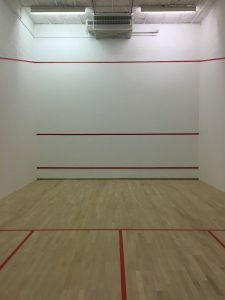 Our recently refurbish squash court is available to hire. Our members enjoy booking the court as part of their exclusive membership however, it is open to the public in 45 minute slots for just £5 per person. We also have racquets and balls for you to use, so if you haven’t had a game in a while or your own kit is looking worse for wear, don’t worry, just tell one of our team and they will happily supply you with what you need. Whether you are looking to have a game with a friend or hoping to arrange a tournament, give our team a call on 01865 489888 (option 4 for Leisure) and they will be more than happy to book a time for you.